Qatar’s non-oil export value has recorded a significant increase of 62.4 percent to QR2.12b in January 2018, compared to December 2017. 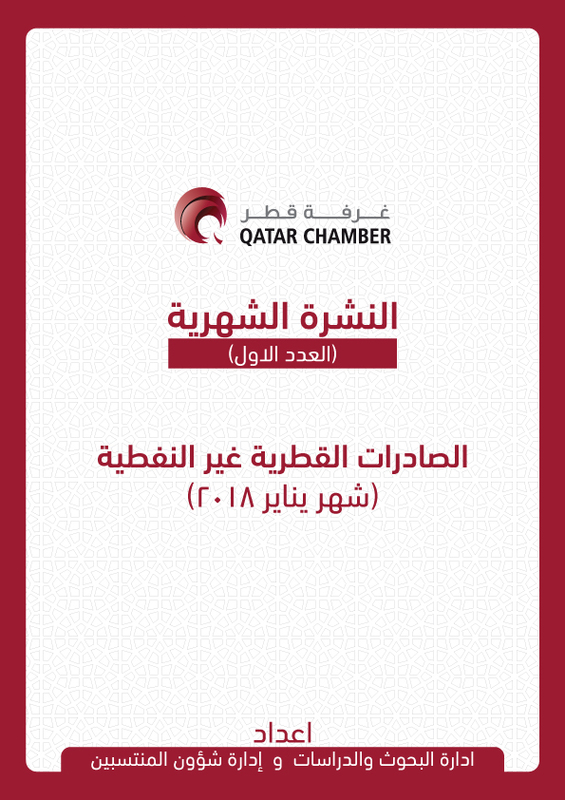 The growth in non-export value recorded 56 percent in January on year-on-year, Qatar Chamber (QC) said. The Chamber, in its report which was prepared based on certificates of origin issued by the Chamber’s Research & Studies Department and Member Affairs Department, pointed out about 2844 certificates of origin were issued in January 2018. 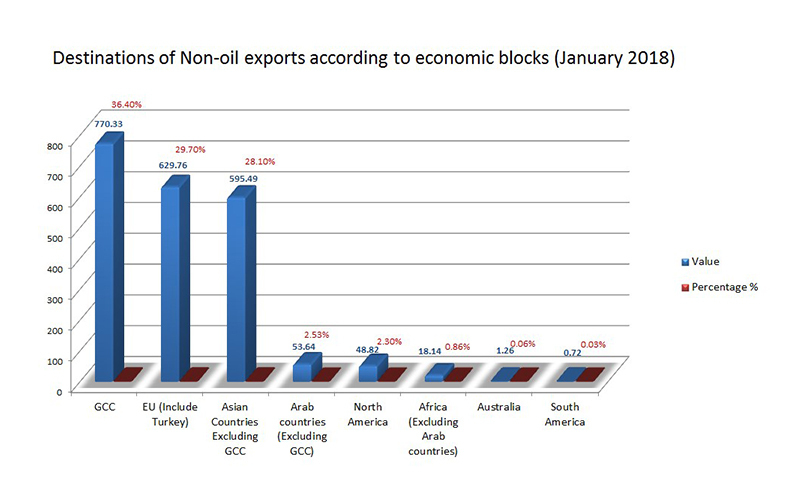 In January, Qatar exported goods and services to about 59 countries, compared to 61 in December. 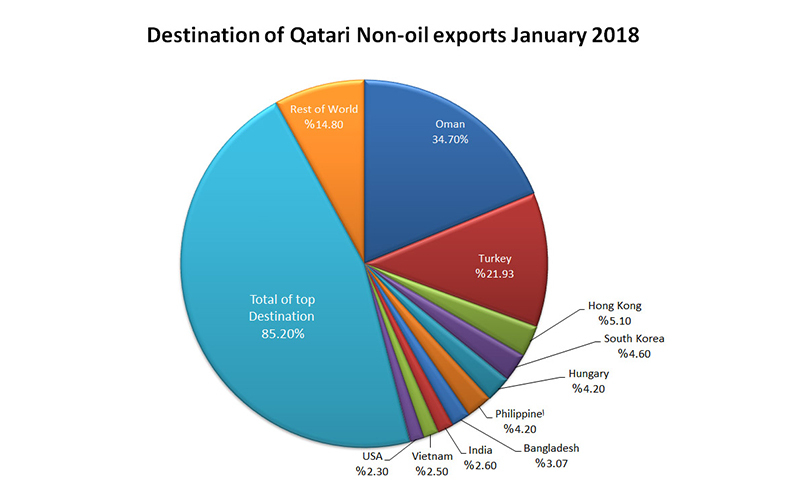 Countries receiving Qatar’s non-oil exports included 13 Arab countries and GCC, 13 European countries including Turkey, 16 Asian countries (excluding Arab countries), 12 African countries (excluding Arab countries), four countries of North and South Americas and Australia. Oman was still Qatar’s top non-oil exports destination in January accounting for QR 734.94m or 34.7 percent of the total exports. It was followed by Turkey with almost QR 464.54m or 21.93 percent and Hong Kong with QR108.03m or 5.1 percent. South Korea came in fourth place with almost QR97.1m or 4.6 percent followed by Hungary with QR89.5m or 4.2 percent. Philippines was in the sixth place followed by Bangladesh, India, Vietnam, and USA. “It is clear that 85.20 percent of the total value of exports were received by the first ten countries abovementioned,” the QC report said. GCC countries as an economic bloc were top destinations of Qatari exports amounting to 36.4 percent of the total exports with QR770.33m. Most of them were received by Oman. European countries including Turkey come in the second place amounting to 29.7 percent of the total value with QR629.76m. Asian countries come in the third place. They imported goods worth QR595.49m which represents 28.1 percent of the total non-oil exports. In the fourth place, Arab countries received QR53.64m or 2.53 percent of the total value. North America came in the fifth place receiving QR48.82 or 2.30 percent. Most of them were received by USA. African countries come in the sixth place. They received QR18.14m followed by Australia which received QR 1.26m. 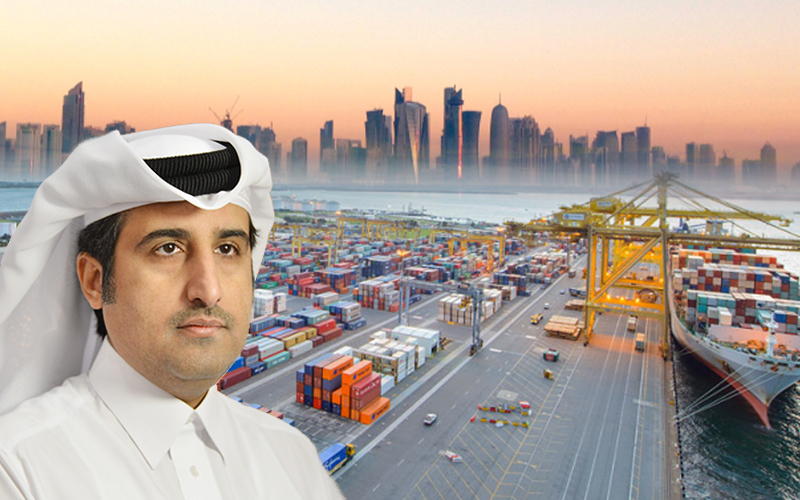 Commenting on the report, QC’s director general Saleh bin Hamad Al Sharqi (pictured) said that the quantum leap in non-oil exports which are private sector exports affirmed that the Qatari private sector is on the right track. It also emphasized that the unfair siege has no impact on the national economy. Sharqi noted that the current year saw distributing Qatari products in new destinations, while other markets no longer receive our products. Non-oil exports recorded significant increases month after month, he said. 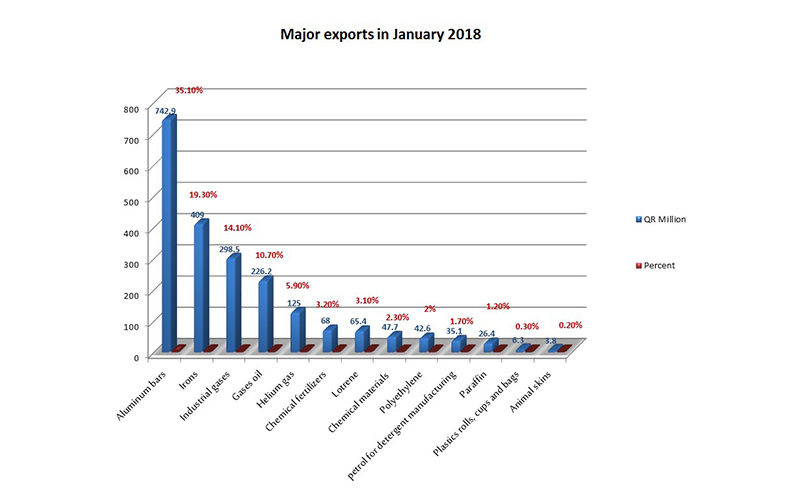 January 2018 witnessed the highest volume of exports owing to great efforts made by the country and the private sector, he said.